HomeGround 78 – 25th Anniversary edition – Out Now! 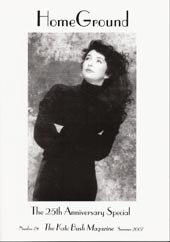 HomeGround issue 78 celebrates 25 years of the publication of the longest running Kate Bush magazine. From Peter & Krys: “The issue includes: a sixteen page exclusive interview we did at HG Towers in March with DEL PALMER; a 3 page feature written for us by GUY PEARCE on his passion for Kate’s music; a two page feature written by Beck Sian plus beautiful photo of Beck when she was a child, with Kate – (Beck is Kate’s cousin’s daughter), new poems by John Carder Bush, an appreciation of the work of John Carder Bush by fellow poet & writer Collin Kelley, great poetry, photos, a wonderful article by a teacher on introducing Kate’s work into the national curriculum, plus a feature about Aerial in perspective with Kate’s earlier albums. Anyone who would like to renew their subscription can do so easily by using the Pay-Pal buttons on the HomeGround Page. I’ve read the interview with Del and it’s fantastic, do not miss. Get your Paypal orders in now! NEWSFLASH: The ridiculously silly HomeGround back issue SALE – £1 each plus postage!!! We have decided to have a very silly HomeGround Sale – we desperately need to create some space in our house & loft before we go completely insane. The Silly HG Sale ends 1st October 2007. You can buy any ten of the listed issues (see the HomeGround page for full listing) for £1 each…plus postage & the total rates (for ten issues plus postage) are: UK £16.50, Europe £18.50, USA & Australia £26. Please note that Issues 74, the two Aerial special issues 76, 77 & the new issue 78 are not part of the back issue offer. Back Issues 76 & 77 can be ordered. Please send Paypal payment to hgtowers@btinternet.com. 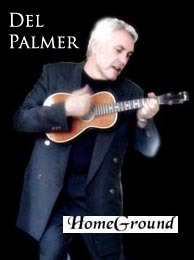 Please make cheques payable to “HomeGround Fanzine” and send to the usual HG address. This entry was posted in Beck Sian, Del Palmer, Homeground, Other artists. Bookmark the permalink.